How much do you know about South Korea? The flowing is a short explanation of South Korea. I also need your help in order to promote South Korea. its fast economic growth, globalism, and it’s now in the 10th. It’s ranked higher than Swiss, Australia, Spain and same as Italy and Canada. Its economic growth can’t be compared to the one of Hungary, Croatia and Mexico. South Korea is situated between China, Japan in terms of geography. China, Japan are the top 1st, 2nd economical empire. 2. The home country of Psy, the singer of Gang-nam style. all over the world on the year 2012. Taiwan and East Asia but Psy exceeded in Asia as well as the Billboard charts. gather to live in such as the Beverly Hills in the U.S.
Samsung and LG are Korean companies. Their main companies are in South Korea. Most of the Korean use Samsung and LG devices. Samsung has the highest rate of sales of Smartphones and TVs globally. and the one of Apple of U.S was 12%. 4. The country of Hyundai and Kia motors. Benz, Ferrai, Fox baggen, Pujo and BMW. Most of the Koreans drive Korean cars. It’s always ranked the 10th place in the Olympics. its best score of the fourth game. Pro soccer and baseball are popular but American soccer is not so. in the races of short track and Skate in the winter Olympics. when you hear the world ‘Korea’ is that it’s a divided country. Korea is the only country which is divided into two parts-the North and South. communism, socialism and is always on the cover page of the world news. Due to this, most of the foreigners don’t know much about South Korea. 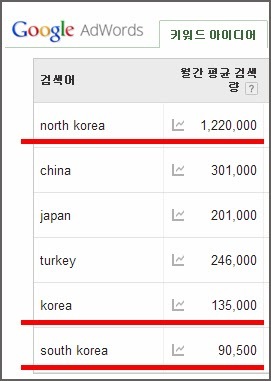 1,220,000 times but South Korea was only so for 90,500 times for one month. 7. We need your help. Please help us promote South Korea. contact information and address in the comment box. We can send you and/or your friend a brochure of Korean travel information for free. Your small help will help us to reveal the truth of South Korea which is hidden.